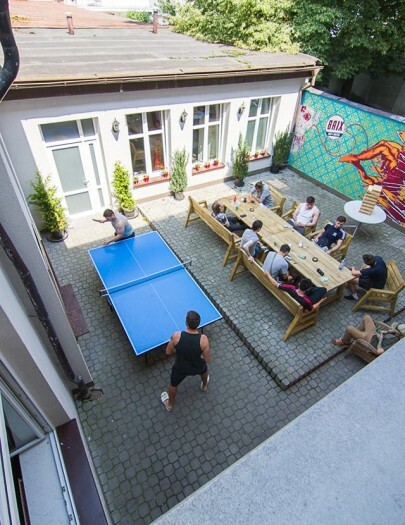 Our bar, chillout-lounge, and patio are the beating-heart of the hostel, the base from which guests form the memories of a lifetime. 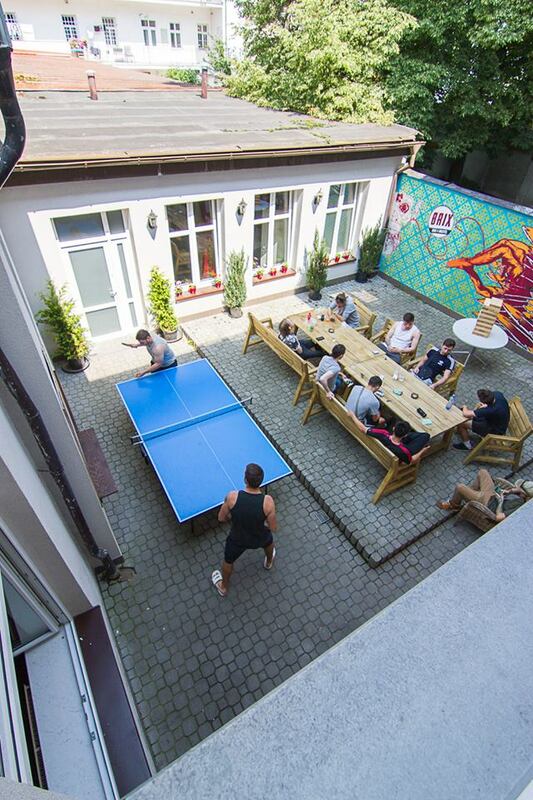 Don’t expect your regular hostel social spaces here. Our bar is the perfect spot to mingle with fellow-travellers and enjoy regular events, whether it be exhibitions by local artists, performances from our favourite local bands, or just flicking on a movie for a mellow Sunday evening. In the lounge you’ll find the perfect spot to relax on our comfy couches or enjoy the fastest free WiFi in Prague to keep in touch with home and plan the next leg of your adventure. Our team can’t wait to show you what makes this amazing city one of the number one tourist destinations in the world. We’ll take you to the best cultural sites, bars, restaurants and clubs and show you the locals’ perspective on the city that most tourists miss. We can organise all sorts of tours and activities at reception, from pub crawls, to going to see a Czech ice hockey game to a trip to the famous Bone Chapel (Kutna Hora). When your day is done, put your feet up in our cosy dorms or private suites and enjoy a fantastic nights’ sleep on our custom build bunk beds. With our amazing beds and linen, and of course a locker big enough to fit all of your personal belongings, you won’t find a more comfortable stay in Prague. With kitchens and bathrooms on each floor, you’re never too far away from home comforts. Guests enjoy free public computers, free tea and coffee all day, our book exchange and free linen and free towel hire. OHMAGAD! So what are you waiting for? We can’t wait to meet you!